As the Telangana State Govt Dissolved on 6th of September 2018, Elections must be conducted in Telangana within a period of six months after releasing the governor notification for cancellation of legislative assembly. Assembly Elections may be planned to conduct in the month of Nov/Dec 2018 in Telangana state. To conduct elections state wide Govt/EC/NIC requires the details of the employees who are to be deputed to work at polling booths. For this purpose they asked details of the employees in 31 column proforma. Previous work during the elections and ect. As we know very well that teachers will be compulsorily deputed to work at polling stations, all the teachers needs to fill these details and submit to DDOs concerned. DDOs must hand over the details of the teachers to the MEOs cocnerned. 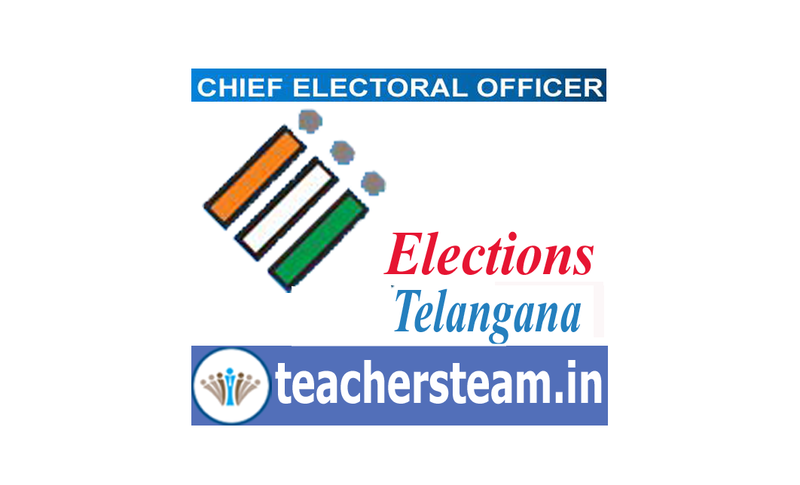 MEOs must submit the Mandal Teachers information to the DEOs cocnerned. As per the count of voters, Polling stations will be constituted in each Gram Panchayat/Muncipality level. as per the count of polling stations, EC requires the employees to work in those polling stations. Election may be scheduled conducted in Nov/Dec of 2018. As per the schedule & as per the count of Polling stations EC will arrange EVMs.